Carpet stains are absolute nightmares. We all try to not spill anything as much as possible, but oops, accidents happen. A little bit of wine, a bit of coffee or your kid/s’ aftermath of a masterpiece artwork, there’s one thing or the other staining your carpet every once in a while. 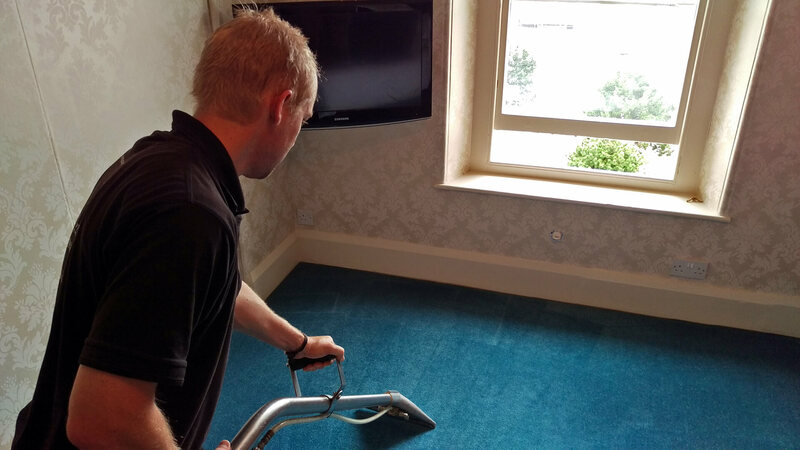 A carpet with stains is a poor impression of your stature, and it generally brings a vibe of your home being dirty as well, keeping aside the fact that stains make your expensive carpets deplete in value and appearance. Alcoholic beverages, colas/sodas, berries, food dyes, excrement, ice cream, gravy, milk, mid, jelly, washable ink and latex or wet paint among others fall under water-soluble stain category. Here’s how to remove water-soluble stains: A simple cleaning solution can help. Take ¼ teaspoon white vinegar or non-bleach detergent and mix it with water ( 32 ounces). Now, use this solution to gently rub off the stain on your carpet. Other water-soluble stains on your carpet: there are some more special water-soluble stains that might trouble you. Blood, coffee, chocolate, mustard, vomit, tea and wine are some other water-soluble stains. Here’s how to remove special kind of water-soluble stains Take 1 tablespoon ammonia and mix it with 1 cup of water ( if you have a wool-blend or wool carpet use mild detergent and water) and gently rub on the stain. If this method doesn’t work, try taking one part chlorine bleach with five parts water, use this only on solution-dyed carpets like polypropylene. Bleach can be harmful to other kinds of carpets. Wax, Oil, and Fat: to remove these stains off of your carpet, put a paper towel over the stained part and iron it on warm setting. Whether it is fat, oil or wax it should come off the carpet and stick on the paper towel. To remove cigarette burn stains off of your carpet gently rub the spot with edge of a flat and hard surface like a dull knife. Nail Polish: This is easy-just blot the stained area with piece of rag soaked in nail polish remover. Urine: Sometimes, your pets or even your kids have accidents on carpets. To remove urine off of your carpet immediately use white towels to absorb as much liquid as possible, then blot the area with a cool, damp cloth. Next step would be to blot or spray on the stained spot with solution made up of one part water one part white vinegar. At last, make a solution of ½ teaspoon of mild and clear non-bleach detergent and mix it with thirty-two ounces of water, then rinse and blot dry. For dog’s urine, try No-Go or other housebreaking aid.